Like most kids, I was not always a huge fan of eating my vegetables. I have vivid memories of crying shriveled peas that had to be consumed before I was allowed my dino-shaped chicken nuggets, and of stealthily hiding florets of browning boiled broccoli in my hands and then sneaking them into the trash can to gain access to the evenings offering of macaroni and cheese. To my parents’ credit they did try to encourage healthy habits (a success for the most part; as adults my sisters and I are all still of the mind there must be a vegetable somewhere on the dinner table), but clearly I was a bit of a vegetable evasion MacGyver back then. But those days are behind me. I have evolved. I love vegetables now, particularly in the months of the year when I can get them fresh from farmers’ markets. That has been the true difference. That, and knowing that most vegetables can be utterly transformed into the part of the meal I am most eager to eat with the help of a little love and seasoning. 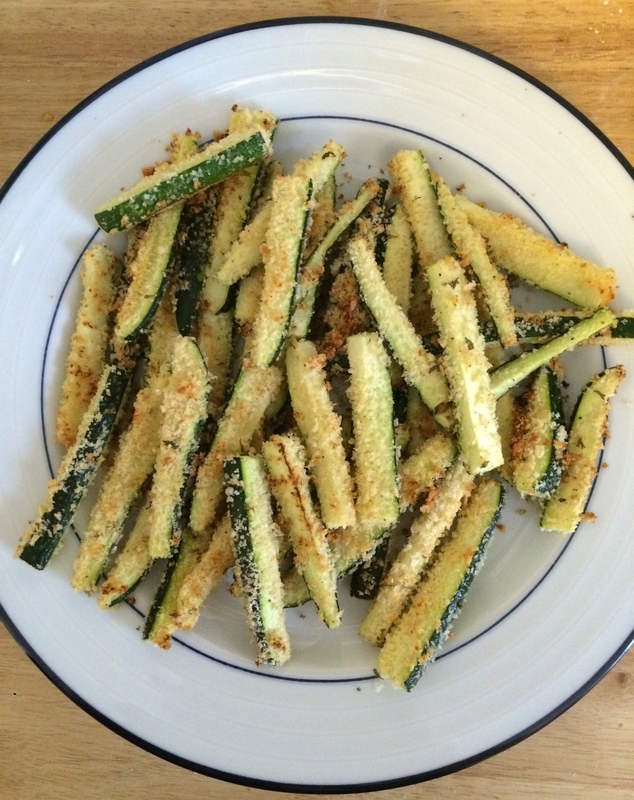 The shriveled, overcooked, and unseasoned veggies-0f-yore are long gone. And good riddance. This succotash is an ode to what a vegetable dish can and should be. Simple, but tasty. Quick, but memorable. In June corn is sweet and super affordable, and is as delicious raw as it is thrown on a grill. 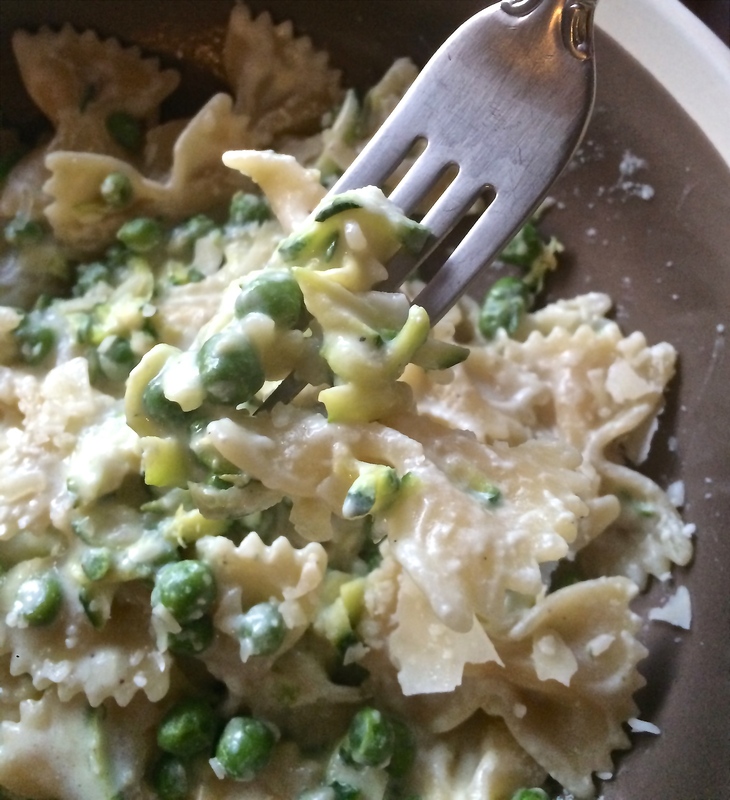 Shelling peas would be a treat but frozen are just as effective. And the zucchini are just starting to appear. All sautéed together quickly in a hot pan of slightly browned butter et voilà, all former fears of vegetables are eradicated. Alongside a little bit of lemon-drenched shrimp and you have a full meal. Just add white wine. Dice the red onion and zucchini into bite size bits to match the corn kernels and the peas. Over medium heat, melt the butter in a sauté pan until it just begins to brown (it will have a nutty smell and appear golden). 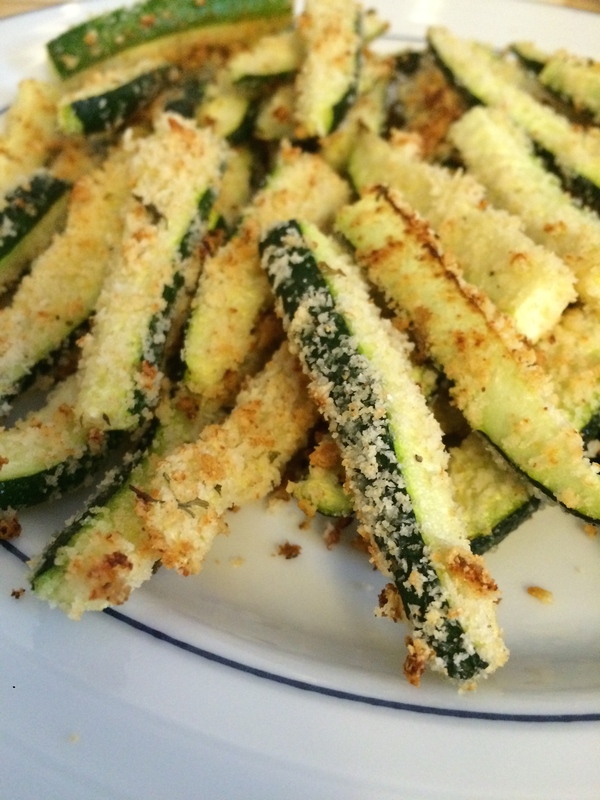 Immediately add the zucchini and onion and cook for 5 minutes or until they soften and begin to brown. Add in the corn and peas and cook until just warm, about two minutes. Season with salt and pepper then remove from heat and set aside. Pat shrimp dry (this will help them brown), and salt and pepper to taste on both sides. Cook over medium-high heat with a bit of olive oil for 2 to 3 minutes on each side, until they are just pink. Turn heat to low and squeeze fresh lemon juice over the shrimp (the heat from the pan my cause some splatter). Stir to coat all the shrimp and pick up the tasty brown bits at the bottom of your pan. (If you’ve got a grill, cooking your shrimp on it instead of on the stove would be a wonderful deviation). Place shrimp on top of succotash and give an additional hit of lemon, salt and pepper if necessary. If you have fresh herbs, say basil or chives, they would be a great way to add from brightness sprinkled over the dish. Serve immediately. It’s true, there is yogurt in this pasta. Your first inclination might be to think that is not quite right, but think again my friends. Everyone secretly loves a creamy, cheesy pasta dish, but it inevitably makes you feel super bloated and full for about 2.37 days. Greek yogurt is the solution. Tangy is Greek yogurt’s most widely recognized characteristic, and it definitely brings that to the table here. 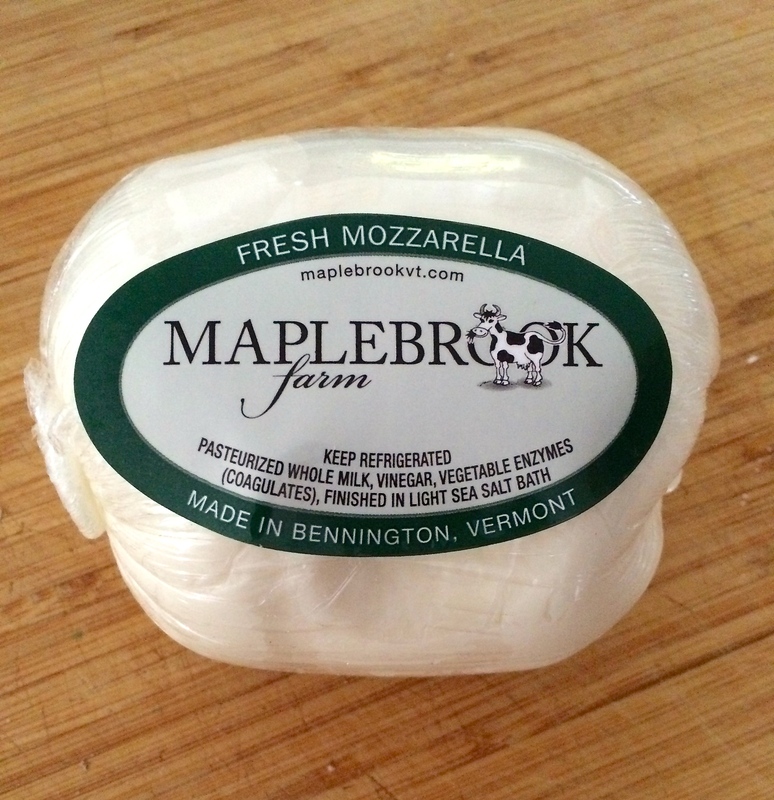 But paired with a tiny bit of cream cheese, a healthy dose of salt, and the brightness of lemon zest–it really works. And it’s just creamy enough to give that element of comfort minus the food hangover. 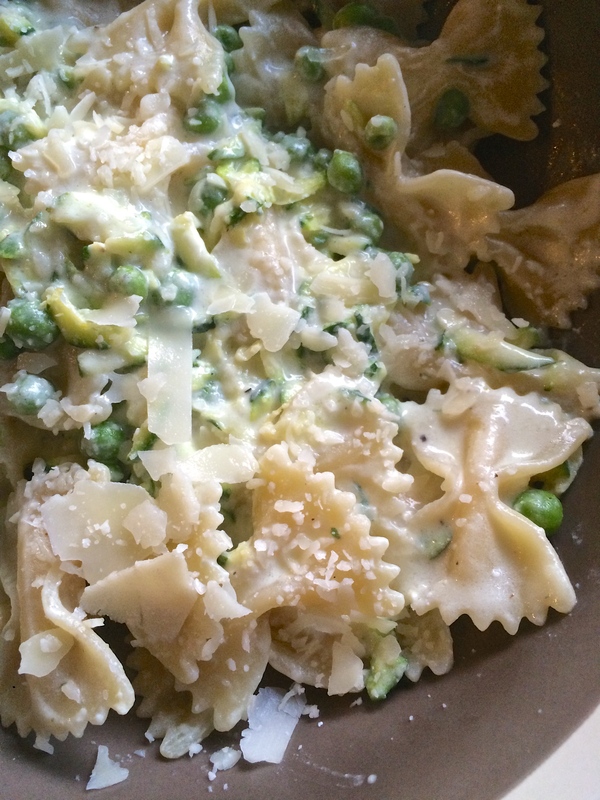 Rainy spring nights are the perfect setting for a heaping bowl of pasta, and thankfully (albeit slowly) vegetable isles across the northeast are once again showing signs of life. 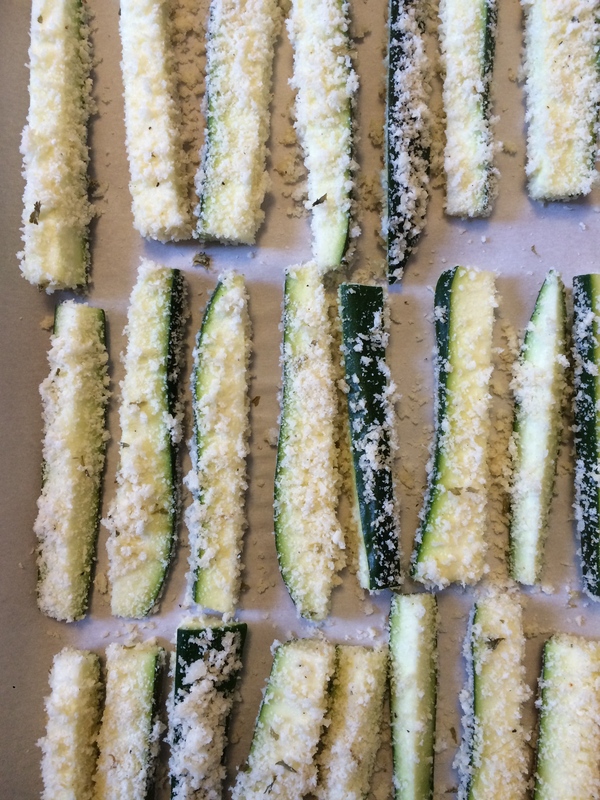 Grated zucchini is a pop of color and a subtle flavor that melts right into the mix and doesn’t event require additional cooking. 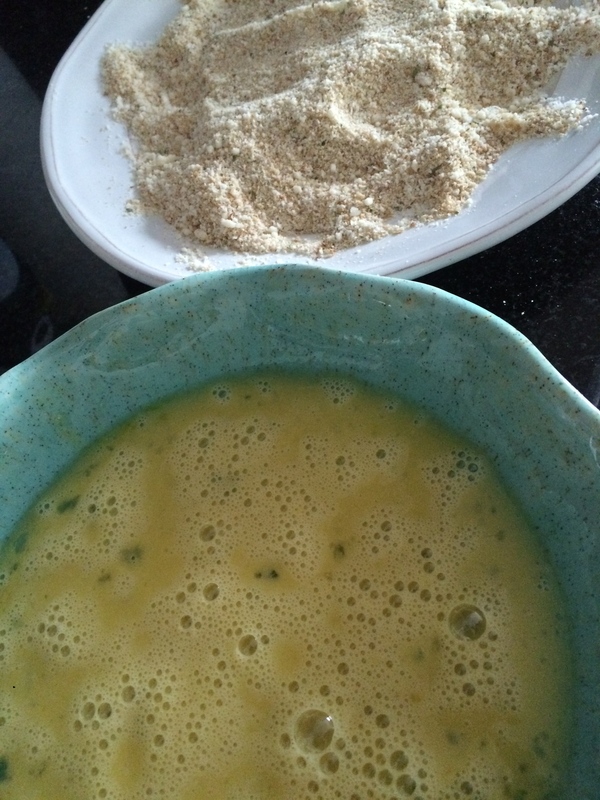 Frozen peas add a sweetness that offsets the zing of the yogurt and lemon. Someday I will swap them out for fresh peas…someday. Important note to leave you with: feel free to get heavy handed with that parmesan cheese. It’s for your own good. 1. Bring a large pot of water to a boil, salt the water, and cook pasta for 10 minutes or until just cooked. In the last minute throw in the frozen peas to flash cook. Drain (reserving a cup of pasta cooking water) and set aside. 2. In a pan over medium heat, melt the butter and then turn off the flame. Add in the yogurt, cream cheese, lemon zest and juice, red pepper flakes, salt and pepper. Stir to combine. 3. 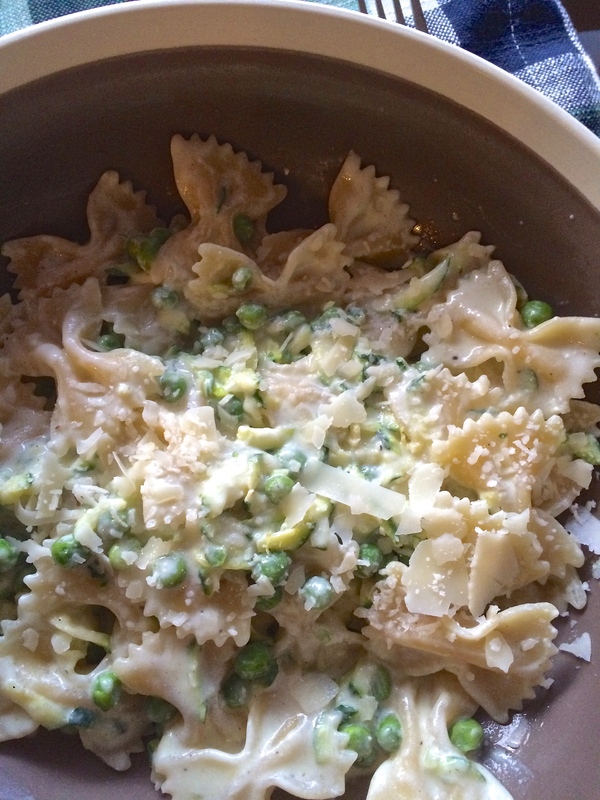 Incorporate the zucchini, peas, and pasta. Stir together, incorporating reserved pasta water to loosen the sauce if desired. Add the parmesan cheese and taste for seasoning, add additional salt and pepper if needed. 4. Serve hot with extra cheese (see note above). I am not entirely sure where I first heard of the zucchini noodles concept, though if I had to guess I’d say it was likely Deb who introduced it to me (and by “Deb” I mean Deb Perelman of smitten kitchen, with whom I am on a first name basis with only in my heart; and by “introduced” I mean I saw it on her fabulous blog). 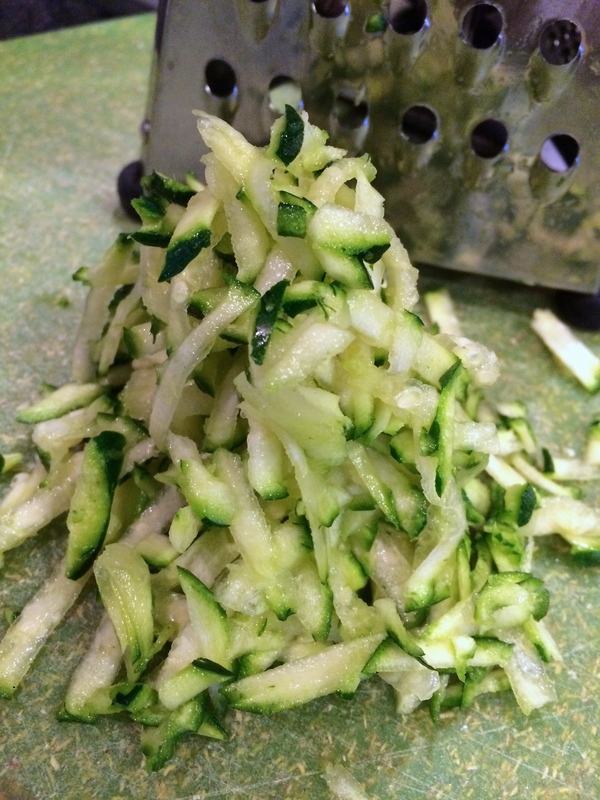 With a mandolin — or with a knife and some chutzpah — you create strands of zucchini to the width and length of spaghetti. All you need to do is flash boil them for 30 seconds, and they become malleable and able to be twisted around a fork. They add a lovely dash of green to a bowl of noodles, which helps takes away any guilt one might foolishly associate with eating carbohydrates. This recipe comes together quickly and is comforting enough for cold nights but light enough for the start of spring. And most importantly, it just tastes good. I add ribbons of spinach to add even more green, because it makes me feel good. Basil would be a great substitute for that or a strong addition if you have any on hand. 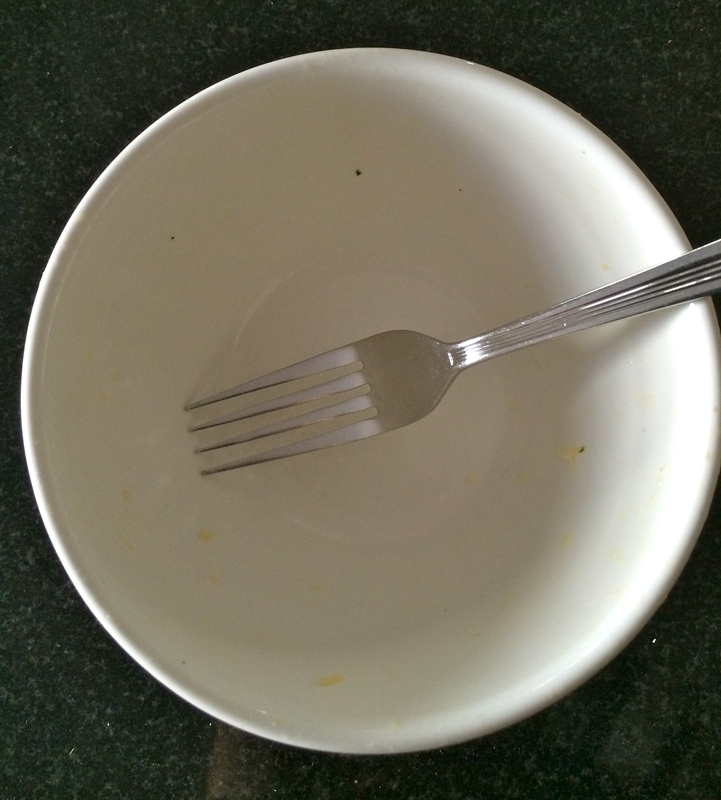 For me there is nothing better than a bowl of pasta at the end of the day. Or the beginning of the day…whatever floats your boat. 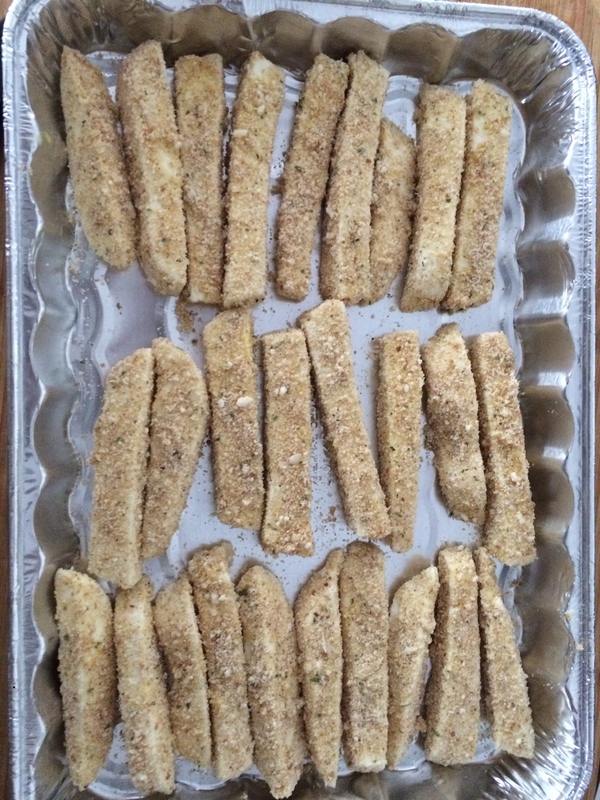 in a sauce pan over low heat, add the olive oil, butter, garlic cloves, lemon slices, and seasoning. 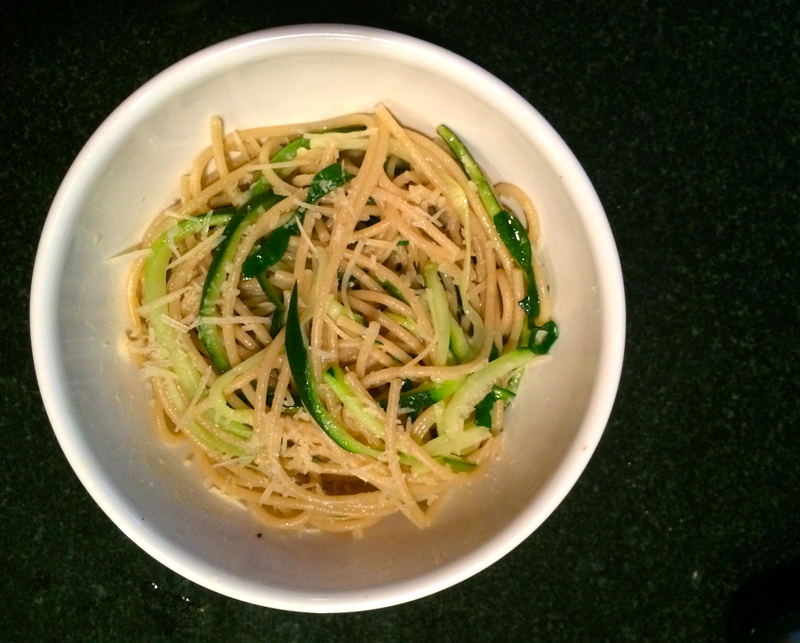 Let the butter melt and leave over low heat while pasta and zucchini cook. 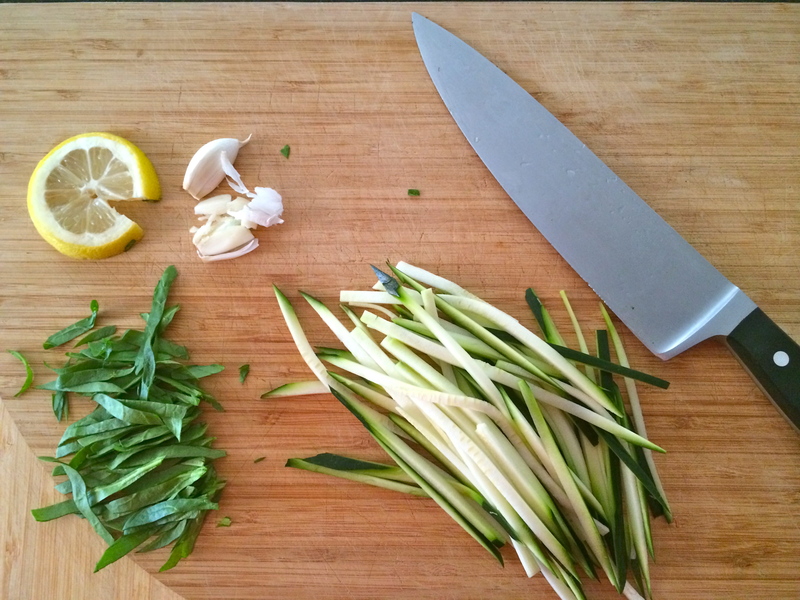 With a mandolin or knife slice the zucchini into thin strands. Cut the spinach leaves into thin strips. Boil the pasta according to your personal al dente preference, adding the zucchini for the last 30 seconds of the cooking. 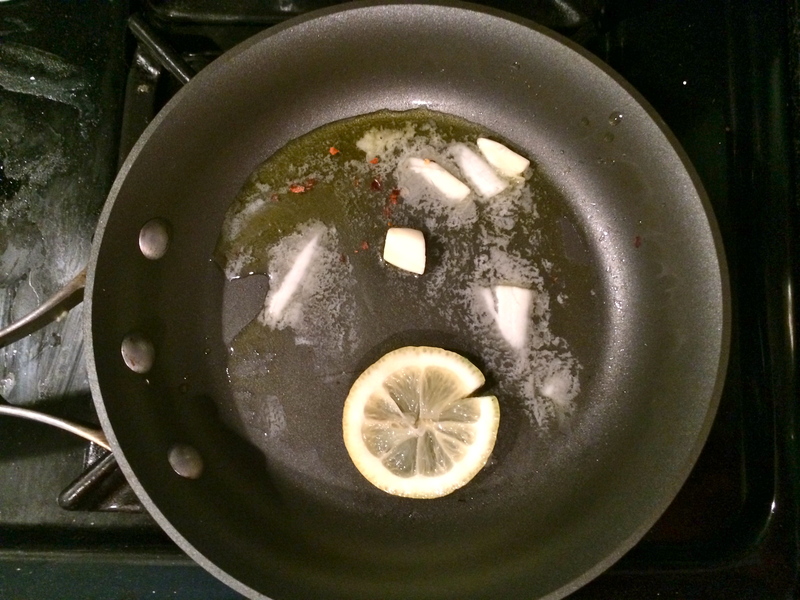 Remove lemon slices and garlic cloves form the sauce pan, and discard. Drain pasta and zucchini and add them to the sauce pan. Combine everything so sauce evenly coats the noodles and vegetables, and if necessary, add more salt and pepper. Top with grated cheese and serve HOT. And leave no noodle behind.